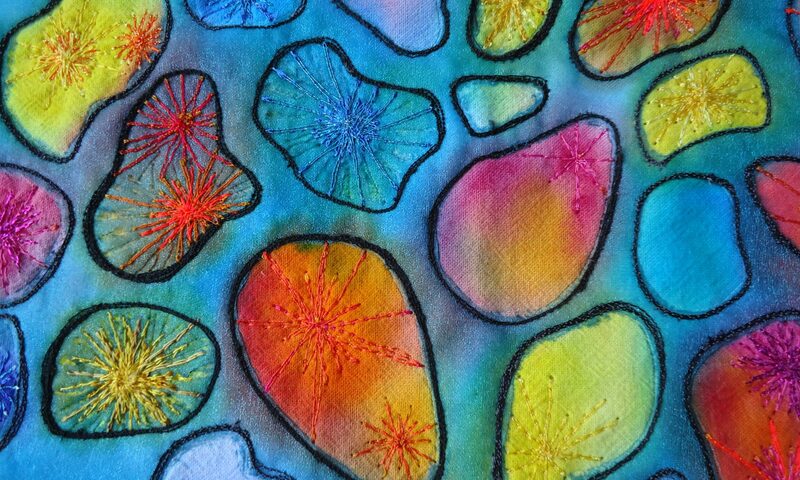 This Stitch Retreat is now full, please contact me if you wish to be added to the reserve list. A weekend Stitch Retreat with Mandy Pattullo. You can book a place on this retreat at the bottom of this page. Winter can be just as pretty in our gardens as the summer with seed heads providing elegant faded structures when all else is gone and birds coming even more to our gardens as they become reliant on the seeds and what we provide. 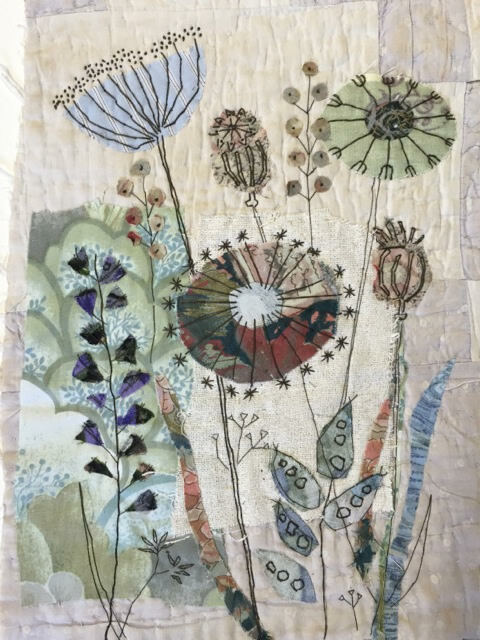 In this course you will work on two projects over the weekend to celebrate this change in the garden.Initially you will work up a textile collage using fairly loose applique, to give some body to your seed head shapes, which will be embroidered with a series of stitches which reflect the forms of nature and concentrate on linear expression. In the second part of the course you will use textile collage in a different way to create a portrait of a familiar garden bird eg. 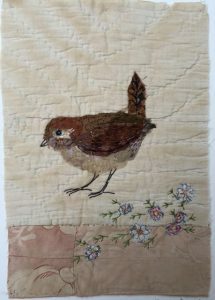 a wren, thrush, blackbird. 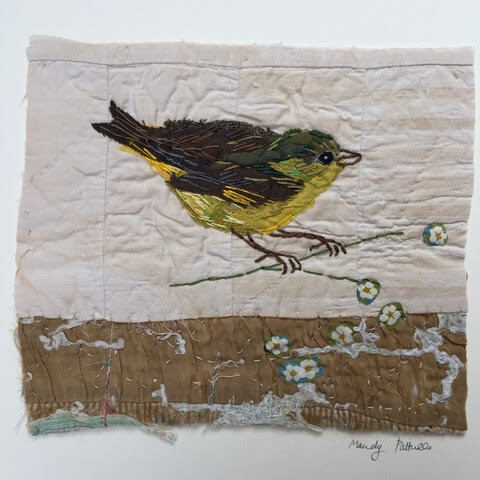 Mandy will provide lots of design ideas, templates to use if you are terrified of drawing and she will bring other work to show you. You will be given a list of fabrics and threads to bring . This will be another wonderful weekend with Mandy at a fantastic venue. The price for the weekend will be £345.